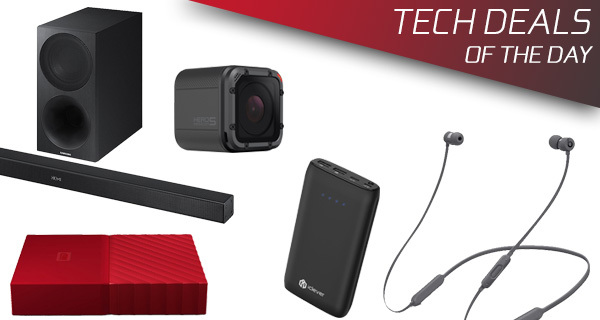 Yes, that’s right, it’s the first installment of the week of our wonderful technology deals. That means that you can sit back, relax and enjoy all of the cut-price technology goodness that we are bringing to the table. If retail therapy is your thing, and relaxation is what you need, then this is the perfect place to start. 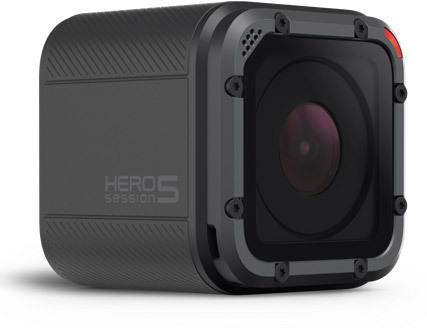 Starting off, we have the GoPro HERO5 Session action camera coming in with a rare $60 discount, which means you can grab the cam for just $240. Next up, the Apple’s BeatsX Wireless In-Ear Headphones with W1 chip are available with an amazing $51 discount! Looking for a 2TB portable HDD from Western Digital? We have got you covered with one that costs just $79. 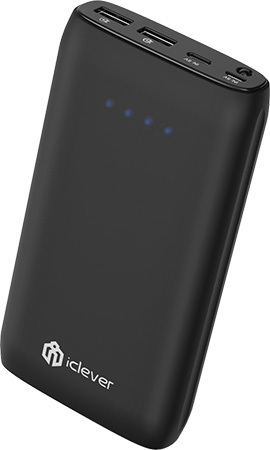 Thrown into the mix is also a $24 power bank / portable battery charger with a massive 15,000mAh battery cell. 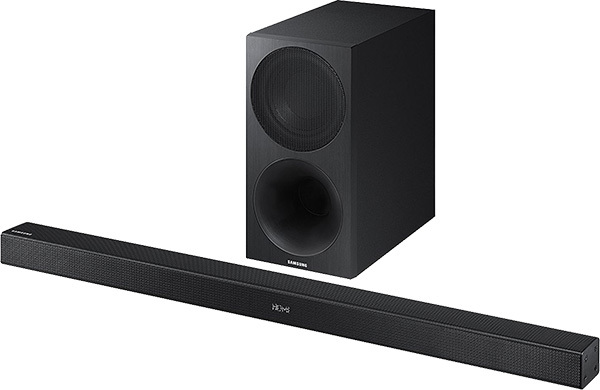 Last but not the least, you get a $100 discount on the purchase of a 2.1 channel Samsung Sound Bar with a wireless subwoofer. As always, make sure you grab the deal of your choice as quickly as possible since all the deals listed here are available for a limited period of time only, or till stocks last, whichever happens first. Ready? Here you go! We probably don’t need to give you all of the gory details on what the GoPro HERO5 Session is about. If you are taking an interest in this product, then you already know what it offers and you already know what it’s predominantly for. This compact little camera offers stunning 4K video and 10-megapixel stills with multiple shooting modes. If you want a set of lightweight Bluetooth earphones which connect via Class 1 Bluetooth for an unparalleled performance, then you really need to check out these gorgeous BeatsX Wireless in-ear headphones. They are created by Apple-owned Beats which pretty much at least guarantees build quality. There’s also the wonderful Fast Fuel 5-minute charge technology which gives an instant 2 hours of playback time. Best of all, they also feature W1 chip from AirPods, meaning that they feature seamless connection via iCloud-connected devices, long range and longer battery life. Some modern-minded individuals like to use popular cloud storage platforms to store and host their data. Others prefer to use old-school hardware like this Western Digital hard drive. It offers a whopping 2TB of storage, looks stunning, and is highly portable. If you need to improve your audio visual experience in the home but really have no idea where to start, then this is probably as good a place as any. This stunning Sound Bar will not only instantly give you a better sound output from your television set, but it also comes with an additional sub-woofer to dramatically enhance that audio with minimal fuss as it can be connected wirelessly. Any medium to heavy smartphone or tablet user will likely be able to benefit from having a product like this in their technological arsenal. This handy little portable device is capable delivering power when it’s needed thanks to its 15,000mAh internal battery. It also comes with SmartID technology and quick charging for when you really need to power up a device quickly. You can grab the power bank for as little as $24 using the following promo code at checkout: ICLEVER8.